Read some of the former first lady's most memorable sayings, or share your own. Barbara Bush, who died at the age of 92 Tuesday, was the matriarch of an American political dynasty. She was also a writer, a family literacy advocate and a witty and quotable force in Republican politics. — Her response when students at Wellesley College objected to her giving a commencement address in 1990, quoted by The Palm Beach Post. Here's a story about the day she "wowed Wellesley’s feminist protesters with a graduation speech." — Her comment to Good Morning America’s Diane Sawyer, who asked if the former first couple was watching much TV news as George W. Bush’s administration was increasing pressure on Iraq. — Her description of motherhood on Fox News’ America Live, after a pundit said Ann Romney had never worked a day in her life. Here's a story from 1999 about how the death of her young daughter Robin, and how it created a bond between her and George W. Bush. — Her response when asked what she thought of Democratic vice presidential candidate Geraldine Ferarro, quoted by The New York Times. She later apologized, saying she meant “witch.” Read a reporter's first-person account of the "rich" story here. — Her quote to TIME magazine on the abortion debate at the 1992 GOP convention. Here's a story from 1992 about her stance on the issue. “What I'm hearing, which is sort of scary, is they all want to stay in Texas. Everyone is so overwhelmed by the hospitality. And so many of the people in the arena here, you know, were underprivileged anyway, so this is working very well for them." — Her comment on the radio program Marketplace after touring a Houston relocation site for Hurricane Katrina evacuees. —Her entry in the March 2018 edition of the Smith College alumnae magazine. Here's a look back at the story of her marriage. 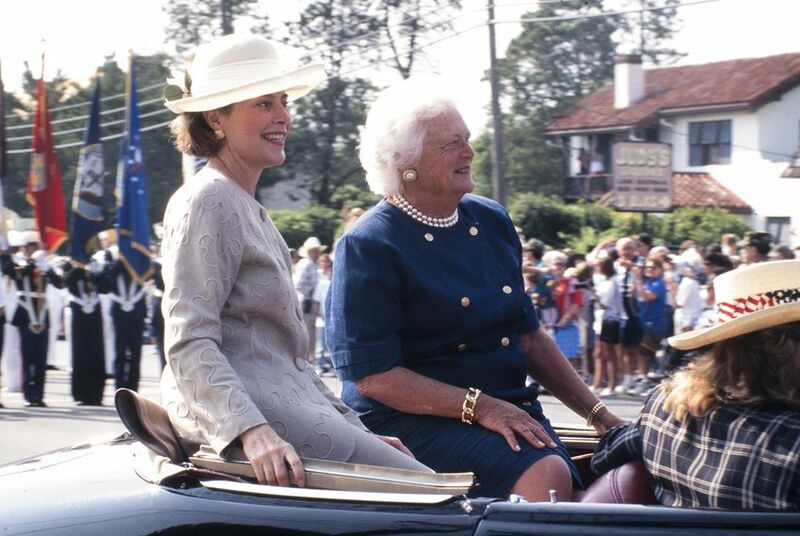 What are your favorite Barbara Bush quotes and memories? Share them on Twitter with #BarbaraBushQuotes and we'll update our collection. Ailing former first lady Barbara Bush halts treatment, is seeking "comfort care"